Blood Master - KCampbell - GODS.comKirsten Campbell, author of The G.O.D.s Series, welcomes you. 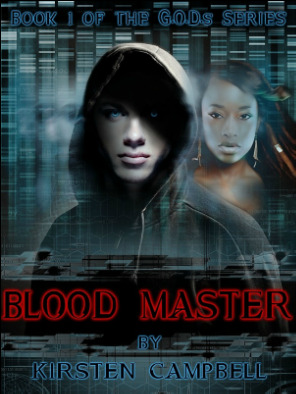 Blood Master/ Adult novel is full of action, adventure, mystery, comedy and romance! Griffin Storm is an albino man with unbelievable abilities. He's telepathic and he can manipulate glass and crystal. Subscribe to the G.O.D.s Series Newsletter!